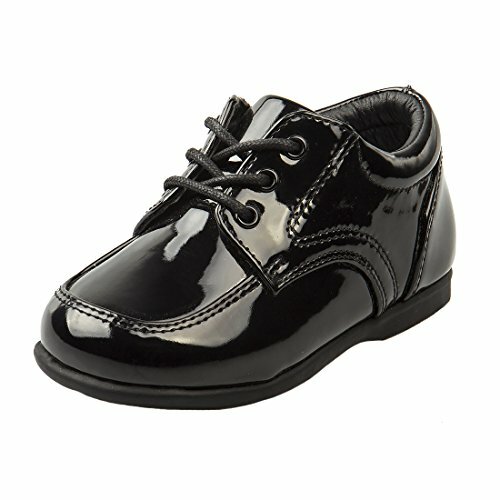 Josmo offers a variety of quality dress shoes to keep your little guy looking stylish and handsome. These boys casual dress shoes are offered in several color, easy to pick one that matches perfectly with any outfit. Timeless dress shoes that match nicely with a variety of outfits! Lightly Padded & Comfortable Insoles prevent sore feet from hours of walking around in these classy boys dress shoes! Please Reference the Variations for All Available Sizes & Colors! Josmo Offers Premium Dress Shoes at Affordable Prices prevent sore feet from all day wear in these classy boys dress shoes! Stop by Our Storefront to See the Rest of Our Great Deals, we're confident you're going to find items that anyone who needs a gift will absolutely love and adore! If you have any questions about this product by Josmo, contact us by completing and submitting the form below. If you are looking for a specif part number, please include it with your message.